Local author Emma Juhasz is writing a series of books for children as a primer for career choice. Her latest book “What Do Vets Do?” offers a series of unexpected scenarios to show that the job is more than just cuddling animals. 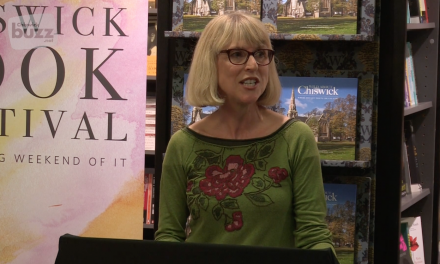 Emma was speaking at the Chiswick Book Festival Local Authors eventwhich was held at Waterstones in Chiswick High Road. Like other authors in the series, Emma has just two minutes to talk about her book.